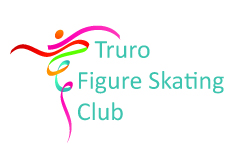 Truro Figure Skating Club (TFSC) is a non-profit organization dedicated to promoting skating in our community. TFSC offers Skate Canada's popular CanSkate learn-to-skate program for new skaters and competitive and non-competitive figure skating programs. We teach all levels of skaters, both children and adults. TFSC is run by a volunteer board of directors that organizes and administers the Club. As a non profit organization we are dependent on these and other volunteers for the many programs, fundraising projects, special events, test days and competitions. On February 1, 1963, a fire destroyed the Colchester Forum bringing the original Truro Figure Skating Club to an abrupt end. A new stadium was built, the present Colchester Legion Stadium, with the official opening on November 6, 1965. After the opening, a former club member, Mrs. Jamie Cooper, decided she would try to re-organize the Truro Figure Skating Club, thus the new Truro Figure Skating Club was born. In 1967, the Club held its first annual Ice Show, entitled Centennial Caper, produced and directed by the Clubs first skating professional, Mrs. Betty Elliot. With many changes taking place over the years; the Club has added the use of another facility located in Brookfield, the Don Henderson Memorial Sportsplex. Some of the Truro Figure Skating Clubs members who have competed nationally in the past 20 years include: Patricia Cudmore, Stephanie Fisher. More recently we had Jessica Cook, Lori Henley, Andrew MacDonald, Jillian MacCuspie , Carly Levy and Anna Rutherford.